I enjoy photography. Freezing moments of time through the writing of light onto paper, canvas, or a computer screen helps me record those precious memories so I can't forget them as long as I live. Yet the best moments, the ones that leave an eternal imprint, I'll never be able to photograph. Why? Because, as a dad, I was in moment rather than behind the lens. Sunset on the shore of our campsite. Ready to hike out after 3 days in Hoosier National Forest. While backpacking in Hoosier National Forest, Ethan walked up to my side on the trail and quietly slid his little 5 year old hand up into mine. We couldn't walk that way for long because the muddy and narrow path often hampered walking side by side. For an hour though, we walked in a silent peacefulness, hand in hand, whenever the path would afford. Ethan didn't say much at all, he just had this silent peacefulness as we hiked. I don't have photo of this moment, but something about sharing this with my son has emblazoned it in my memory. Another moment happened as we finished eating our fireside pizzas. A spontaneous tickle fight in the hammock burst forth from the hands of Gabriel, Ethan, and myself. In the aftermath, Ethan laid his head on my chest, closed his eyes, and fell into a deep slumber not even disturbed by my clumsy fumbling as I picked him up from the hammock and zipped him inside his tent. Once again, there's no photograph, only a crisp clear moving memory with Ethan. What gives a child that much peace? How can a child sleep exposed in the open woods so soundly when all around are the noises of coyotes, deer, and frogs? How does he walk peacefully in the massive expanse of forest filled with scary things like cliffs, rattle snakes, and falling trees? The source to Ethan's peace that passes understanding is made clear in Philippians 4:5 when Paul tells the church at Philippi, "The Lord is near." Similar to the Paul, Ethan knew that he had a strong, safe, and caring "higher power" near. He had his father. . . . me. Ethan enjoying a quiet hike. When we as Christians truly feel and understand that our Lord, the God and Father of all mankind, is near, we can have that peace that passes all understanding. When we know that He is so close that we can be in constant conversational prayer with Him, letting go of all our cares and worries to a near and dear Father, we can finally "not be anxious about anything." When we have sought Him and accepted His seeking of us we can have peace no matter the treacherous surroundings. Lord, may we as children daily seek to be by your side, seek to be near to you, and seek to feel your hand comforting ours. May we deeply feel and understand your peace by seeking to be near you. Father, as my children seek the assurance of safety they feel near me, help me to train them to seek Your assurance of salvation by knowing You are near. May this seeking guard their hearts and minds in Christ Jesus. Amen. Three men in a hammock. 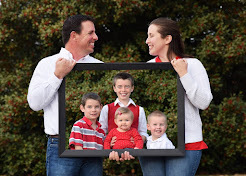 The best moments in life may be unphotographed, but they have an influence that will last through eternity. Men, strive be in the moments rather than behind the lens. May you too have peace today in knowing that your Father is near. To see a few of our photographed moments, you can visit a public album by clicking: HERE. After 2 hours 50 minutes of hiking, we made it to our trailhead triumphantly! Here's an old dadism from my father, "Excuses are like warts on a toad, everyone's got em." When I heard it at a young age it just evoked this irksome irritated feeling from me. Yet as I've matured I realized what my dad was really saying, "Boy, you can do better. 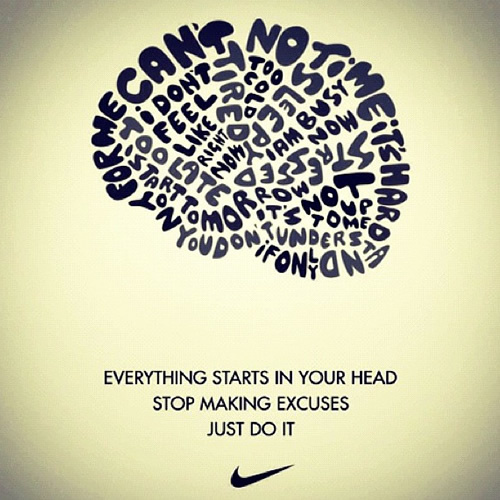 Quit letting your excuses hold you back." You don't have to be a kid to own a long list of decent sounding excuses. I remember when I was on my first Honduras trip with Allen Burris in 2012. Allen asked me to go running with him for three miles. I didn't like running, but I agreed for this first morning. After running miles this crazy man stated, "By the end of this trip, I want you to run 10 miles with me." This hombre was "loco" and I told him so! I had never run anywhere near that distance.! I hated running! I couldn't physically do it! I had bad knees from being a baseball catcher! These were mountains and high altitude! The excuses kept piling on. I finally "ran" out of excuses and I made the 10 miles with Allen. It wasn't the most pleasurable thing I've ever done, but since that time I've run three more 10 milers in Honduras with friends and several longer runs in the states. Running out of excuses helped me reach my higher potential, reach a much better health, and has now given me a hobby my family enjoys doing together! Since I tend to expect a high potential out of people around me (often higher than they expect of themselves) I hear a lot of excuses. Mission trips, VBS, speaking opportunities, community service, and church leadership opportunities seem to bring tons of excuses out of the men and women around me. Some are quite creative and amusing, some are very valid, but many are just pathetic justifications for living less than Jesus' abundant life. I wish I could help everyone run out of excuses. In Luke 14:15-23 Jesus tells of people who were invited to participate in something good, but they all had excuses. At the end of the parable the invitation giver gives up and admits, "I tell you the truth, not a one of those invited will get a taste of my banquet." I've still got my excuses and by God's grace my dad's wisdom is slowly sinking in so that I use my excuse list less all the time. Lord willing, one day I'll be free from this imprisoning list completely to enjoy the full banquet God has set before me. Can I convince you to examine yourself and your excuses? 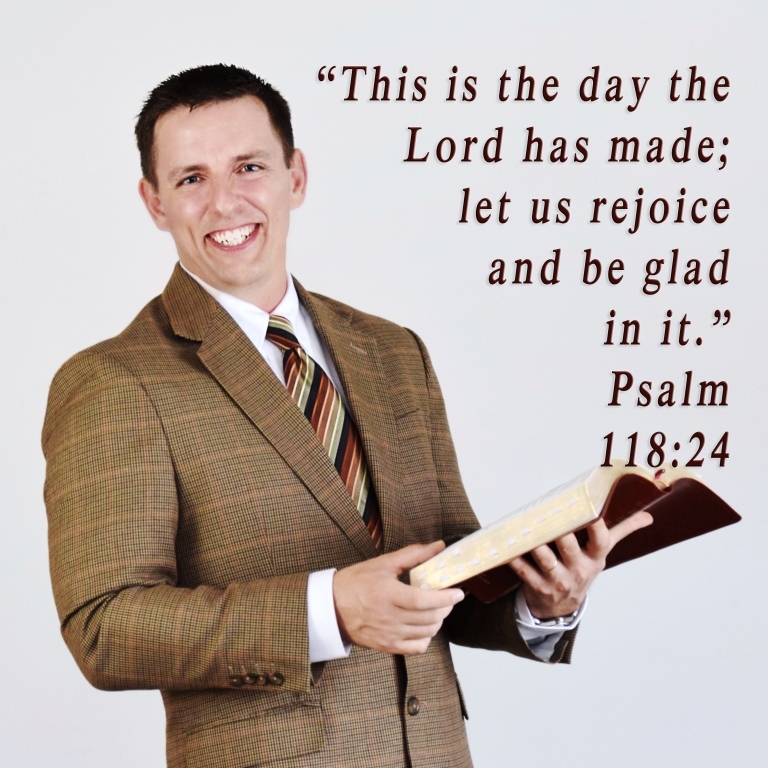 I assure you you'll suffer less warts, enjoy better banquets, and have access to Jesus' abundant life. VBS - "THE RACE IS ON!" We're excited about VBS on July 26th - 27th! For ages 3-12 we'll be running through scripture together on Friday from 6:30-8:30pm, Saturday from 10am-2pm, and Sunday at 10:30am. Come join us as we encourage kids in their race with Christ! I'm happy to recommend www.raceresult.com for your personalized running bib printing needs. They did a great job on ours and got them here quick. In my spare time *chuckle* I like to do a little pro-bono graphic & web design work. Here's what I've been able to come up with since Honduras for the city's bicentennial celebration coming up in 2016. Feel free to give your thoughts and opinions. I'd like them to be the best they can, after all, I'm only a novice volunteer here. Can I have your opinion? Which one do you like best so far? In this image you will find the original city seal of Washington. We're considering updating it with one specifically for the bicentennial celebration and one for the city. 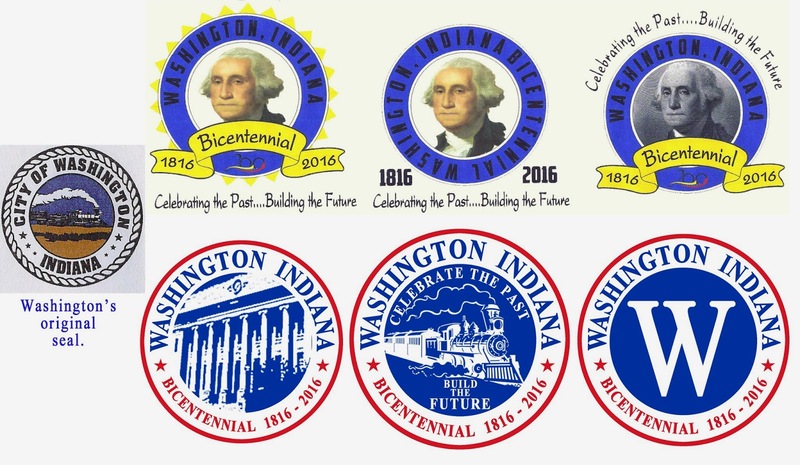 A couple of our city volunteers have been hard at work coming up with various ideas for the bicentennial seal. We are open to your opinions & suggestions on these preliminary ideas. Featured in the center are George Washington, the courthouse, a train, and a "W" for Washington. Tell me what you like! Which seals do you think I designed? 7:10am - Step on side of road rolling left ankle and hobbling like a drunken monkey for final 1.5 miles back. 2:20pm - Arrive at School for the Blind to share toys, smiles, and songs. 4:30pm - Arrive back at mission house to move massive amounts of rice, sugar, spaghetti and more to be delivered in Guajire. 5:15pm - Go to AnaLuisa's house for a balloon making visit. More info and photos to come later tonight. 8:40am - Devotional and Group Meetings with TX group. 5:24pm - Finish build site with prayer and plaque dedication from Circleback Church in TX. 8:45pm - Snicker's bar (my favorite) and learning to play the soccer/dodgeball game aptly named "Killer"
10:00pm - Into the hammock with three blankets for the chilly night. I don't like roosters. Whoever said they crow with the sunrise is crazy. They crow anytime between 2am-10am and probably anytime other time too. I wore earplugs to bed after that. The sleep was pretty chilly out in the hammock slung next to Jaden and Luke. It was about as chilly as the coolest night in Guajire last year. Yet the sleep we did get was welcome and needed. Allen Burris invited me to run with him in Honduras in 2012. I haven't stopped running since. Today was a great 3.1 mile run for Elmer & Bryan while Jaden and I ran to the intersection in Santa Ana, 4 miles total. The high altitude mountain air was a bit challenging. Our 8:25 pace/mile was a bit slower than our states pace, but we did run up a mountain for the first 20 miles. We loved the feel. Click the link HERE to see basically where we ran. Somehow I got in the back of Dorian's truck with the tools while all the rest of the build team rode in Chino's van following us. It did give me a bit of welcome alone time as I took in the beautiful scenery. What could have been a 25 minute ride turned into a 55 minute ride as we couldn't quite find the build site. Welcome to Honduras. We picked up a local who knew were it was and it turns out we just hadn't gone quite far enough up the mountain on our first effort. We pass by Willie's bus and lotsof people looking for the build. This home was for little old Maria Ophelia Rolas and her daughter Juana. She was very sweet and hung out near us most of the day. During the post hole digging, when we had plenty of help and some downtime, Sadie, Emma W., and I went off down the road in search of kids to play with. The first little girl was a little scared of us gringos and a chinita, but she warmed up after I helped her through the barbed wire fence she was stuck on. Balloon animals helped as well. This was a pretty long build by our standards as it took about 7.5 hours total. After noon we began having more locals and Maria's family visit. Circleback Church in TX had donated the money for this house build, so Ryan Bean prayed with the family and nailed up the dedication plaque. I'm very proud of how he has grown and was taking a leadership role in this build. Click HERE to see a map of where we built. It's about people, not projects. The floor team is beast! Erin gives blankets from MCOC. Thanks for sponsoring this build Circleback Church. Dave, Randy, Dan, Elmer, and Charles volunteered to go to Casa De Esperanza to begin moving rocks and digging a footer for the next section of the security wall that was being built all summer long. Dave had supporters who donated money to help pay for the effort of this wall build. This was a long hard day of work which gifted our group with the new quote, "It's better than moving rocks." If anyone complained about anything it was quickly but lightly rebuked with "Well, it's better than moving rocks." These great guys did get to spend some time after 3pm playing with some of the children at the Casa De Esperanza children's home. Notice anytime you see Dave with kids, they are smiling. We had another great dinner cooked by Enerida and Yessinia followed by another group devotional with the group from Childress, TX. I didn't write down the devotional for this night so I'm going to have to rely on someone else's notes. I did write down the quote "Focus on PEOPLE rather than projects." Then we learned a game called "Killer" from one of the TX guys. It's a cross between dodgeball and soccer, and yes, it is killer! (Note - I can't find the game on Google or Youtube, so I'll attempt to write the rules in a blogpost later. Charles was down for a while after an ill-timed kick sent him doubled over on a bench. Glad he was ok soon for our work the next day! It was unusually cool again this evening. These first two evenings felt as cool as our night last year in Guajire, and the temperature was still dropping. Little did we know the entire week would be the coldest we had ever experienced in Honduras. I felt bad for the Honduran population who had no heaters. I felt grateful to God that Mitchell Church of Christ had been making blankets all year for us to give away with our builds. Maria & Juana would sleep warmer tonight in their beds with new mattresses and blankets.